Space: When it comes to buying new furniture, it is important to make sure you will have enough space for what you are looking to buy. You also are going to want to know how much space you want left in the room you are decorating after buying your furniture to avoid cramping up your room and making it cluttered. Style: Everyone has a different taste when it comes to their style. Make sure you are buying furniture that fits your current style or that you just like in general! There are plenty of coloring and design options offered for almost any furniture piece that are bound to fit what you want. Affordability: Before making a purchase on a furniture item, you want to make sure that you will be able to afford it. If you plan on making payments over a period of time or if you are just paying it all up front, you want to make sure your decision matches what your budget can handle. Quality: Everyone wants their furniture to have a good quality, and to get a good use out of it too! Whether you are buying a household staple item or just a decoration, make sure it is something you will be able to use. Home Office: A model like the Hide Away Desk Bed is perfect for turning any bedroom into a home office and vice versa. With 7 different wood types, and 27 color options, it would be hard not to find the perfect fit for what you already have going. The Murphy Desk Bed also comes with the option of add-ons that can further complete your home office space and pull everything together. Living Room: The Bookcase Murphy Wall Bed comes in 3 different sizes of twin, full, or queen size. This makes it perfect to accommodate to the size of your room and how much money you are willing to spend. If you are looking to complete your living room with a bookcase to hold items or even just decorate with, and also need space for guests, this is a good place to start looking. This model can also come with additional cabinets at the bottom for even more storage space. Another good model for decorating your living room is also the Sofa Murphy Bed. The Sofa Murphy Bed can double as either a couch or a bed, which is perfect for any guests that may stay over. Bedroom: Of course, any type of bed is necessary for your bedroom, but traditional beds take up so much valuable space. This is why Murphy Beds are great for any home looking to save some space. Almost any model of Murphy Bed can fit perfectly in your room and save space so you do not have to miss out on having a larger room for yourself. Many of the regular wall bed models come with side cabinets and storage space so you do not have to worry about trying to match more furniture to your new Murphy Bed. 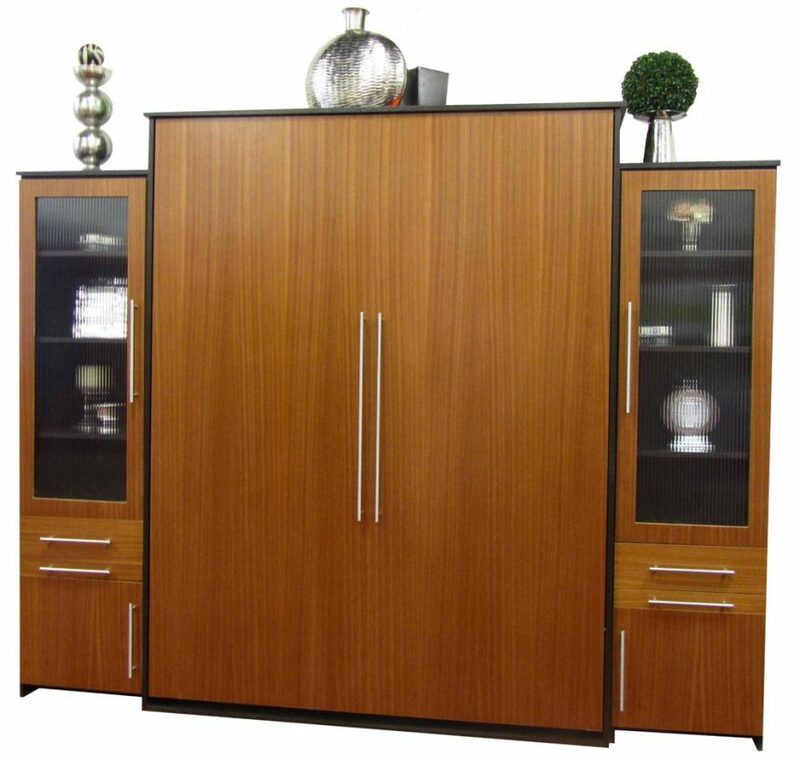 You can get most of these Murphy Bed models in twin, full, queen, or king size. Kids Room: If you are looking to make a playroom area for your kid(s), models like the Murphy Bunk Bed are an awesome solution to save space while doing it. The Murphy Bunk Bed is perfect for turning any kids area into a more open area for them to be and play in. This model also comes with storage cabinets which will make for an easy clean up when it is time to put the beds back down. This model can come in twin size or even twin extra long. Although everyone has a different style and different needs when it comes to picking out their home furniture, a Murphy Bed can always be a great fit. Murphy wall beds are also more than just a great space saver. These Murphy Beds can be the main piece in any room and can help you to come up with different color schemes and concepts for whichever room you are looking to start putting furniture into. Or, it can even be the finishing touch for your room. It does not matter if you are looking for just a standard bed while wanting space, or want to have multiple functions for your room. Whatever it is you are thinking of, you will be able to find the perfect Murphy wall bed that has the right additions to it to fit the wants and needs you have when it comes to your house.